The Select Art Fair in NYC last week had an emphasis on Performance and Installation Art. I was not sure I would find any work with Mathematical elements besides my own work and the Tessellation prints of Dikko Faust. 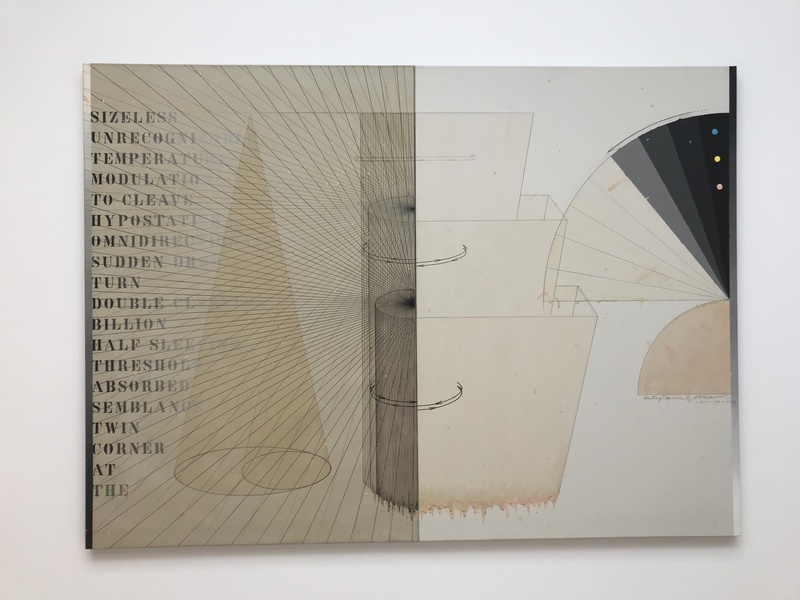 After the smoke cleared, and I mean that literally – an installation piece featuring mating bigfoot mannequins used a smoke machine during the busiest hours of the show – I was able to find some Math Art. The Transmitter Gallery exhibited the work of Gilbert Hsiao in their booth. I was particularly impressed with The sculpture “Headstone Friends”. 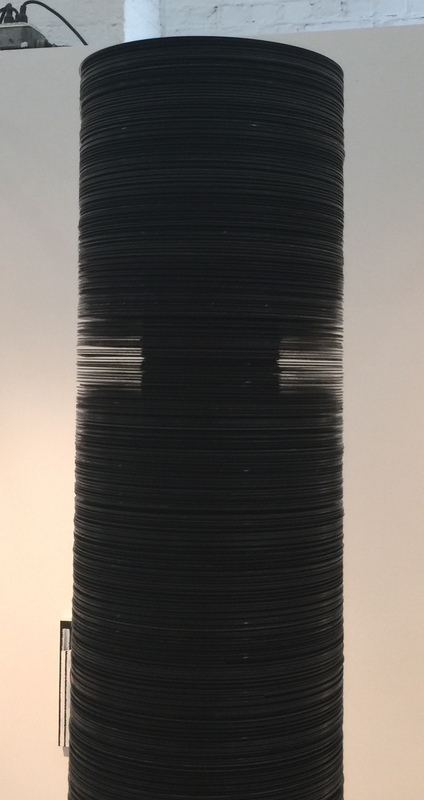 “Headstone Friends” from 2015 is a cylindrical column made up of a stack of vinyl records. The circular discs are all parallel with a uniform sliver of space between each record. There is a smaller solid column steel and concrete column running up through the center of the sculpture. The most amazing aspect of this work is the way the light shines through the records at the viewers sight line. Only when the viewer looks straight between the discs is the light between the vinyl visible. Here is a video demonstrating how the light moves up and down with the sightline. 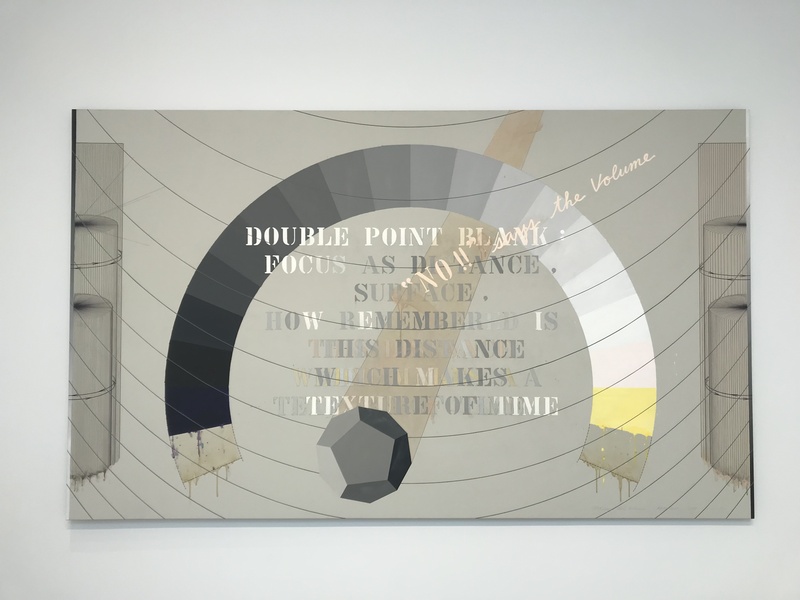 “Headstone Friends” is an interesting use of circular discs to create a column but it is also about how the viewer’s line of vision behaves like a vector. Hsiao enables the viewer to take an active role in the mathematics.